The personal loans industry is incredibly competitive, with hundreds of lenders competing for the attention of borrowers. With so much choice, it can be hard to know where to begin your personal loan comparison. We wanted to help, so we sat down and compared all the most popular lenders by different factors like loan amounts, rates, fees, and customer service. Read on to discover who we have selected as the 5 best personal loan companies. Credible is an online loans marketplace that lets borrowers see prequalified rates from multiple lenders based on their credit history. Credible works with only a select group of the best personal loan lenders. Filling out a single form gets you offers from a selection of reliable lenders without any impact on your credit score. The main benefits to using Credible are the speed and breadth of its service. It takes only a couple of minutes to fill out the form and see a personal loan comparison of prequalified rates. Credible’s partners offer the broadest range of loan amounts and loan terms in the industry, making this the best personal loans service overall. Credible is so confident in its rates that it promises $200 if you find a better rate elsewhere. Read our expert Credible review to find out more about rates, fees, and other features. Marcus is a personal loan solution for the digital age from one of the oldest names in banking, Goldman Sachs. Despite only being around since 2016, Marcus has issued more than $4 billion in personal loans. Its main selling points are its commitment to never charge any fees, as well as its quick 24-48-hour funding. Marcus caters to borrowers with strong credit but gives its customers maximum flexibility once they’ve been approved. For example, borrowers who miss payments or can’t cover the full amount in any given month aren’t penalized; instead the interest is added to their final payment. Customers who pay on time for 12 consecutive months can later defer up to 3 payments without any penalties. The overwhelming majority of Marcus’s customers have reported being satisfied by this provider’s transparent terms, responsive customer service, and quick funding. Read our in-depth Marcus by Goldman Sachs review to find out more. LendingTree is the most-experienced loans marketplace on the internet, with a network comprising dozens of the best personal loan companies. LendingTree offers a very broad service, with personal loans, mortgages and other types of loans. The personal loans industry was one of the first markets it got involved in, and remains one of its specialties. The main reason to use LendingTree is to run a personal loans comparison in the shortest time possible. With LendingTree, a short online form is all that’s required to see the lowest prequalified rates from a list of hundreds of lenders. LendingTree works with all types of lenders, from big to small and national to local. Its powerful search tool quickly scans your details and its lending network to find low rates to suit you—no matter your credit score. 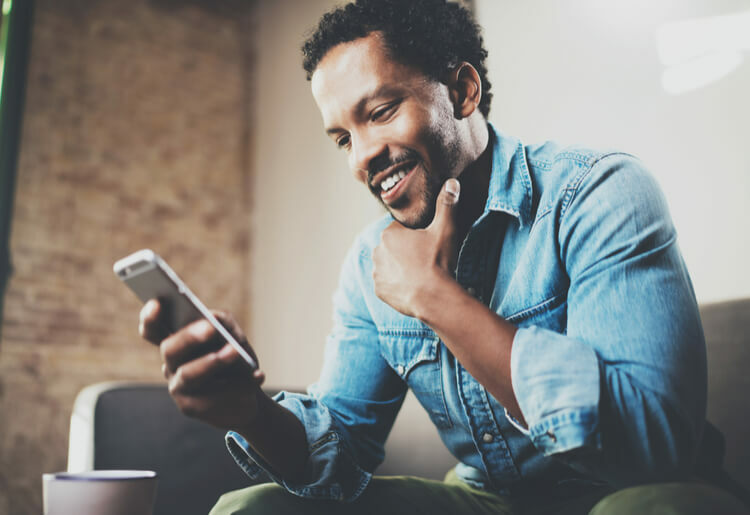 In addition to its useful search tool, LendingTree also provides a wealth of free educational tools and resources to help borrowers with personal loan calculations. To find out more, read our LendingTree review. LendingClub is the most well-known provider of peer-to-peer personal loans. It works with a vast network of private investors to offer personal loans to borrowers with credit scores of 600+. Borrowers may choose from 2 loan terms: 3 years or 5 years. The biggest benefit of LendingClub’s P2P model is choice. All the applicant is required to do is fill out their name, contact details, annual income, and loan amount. Within a few seconds, you’ll be redirected to a screen showing a range of loan rates, terms, and amounts to fit your credit score. Unlike many traditional lenders, LendingClub allows 2 people to apply for a personal loan together. Adding a co-applicant is a great way of securing a lower rate than if you were to apply on your own. Check out our LendingClub review to find out more about this peer-to-peer lender. Monevo is a huge online loans marketplace that pulls in real-time rates from hundreds of lenders. Users fill out a short online form and get a list of the lowest rates from around the internet. The service is free and allows borrowers to run a quick personal loans comparison without any effort. By pulling in rates from so many lenders, Monevo is able to offer a broader picture than most other online loans marketplaces. For example, its loan amounts range from $1,000 to $100,000 and its loan terms range from 3 months to 12 years—making it the best provider for long-term personal loans. Monevo is a solid option if you’re looking to compare as many lenders as possible without your credit score being affected. Click on our Monevo review for a deeper look at this provider. Finding the right lender is an essential first step to finding the best personal loans. Here are the main things to look out for when trying to find the best personal loan companies. Type of lender: There are marketplaces like Credible and LendingTree, direct lenders like Marcus by Goldman Sachs, and P2P lending platforms like LendingClub. All these lender types offer different advantages, so it’s important to know who’s who when searching for a loan. Ease of use: These days, all the best lenders allow their customers to apply for loans over the internet. Compare lender websites and read lender reviews to understand which are the easiest to access and use. Reputation: There are 2 types of lenders in the personal loans business: trusted lenders that are completely open and transparent about their terms; and shifty lenders that make a bad name for everyone else. These days, all it takes to find out if a lender is trustworthy or not is to read reviews. Customer service: When you take out a 4-figure, 5-figure, or 6-figure loan, you deserve the best customer service. All the lenders mentioned on this page are known for offering excellent customer service. APR: This is the annual percentage rate your lender collects for providing the personal loan. The best lender for you is the one that can offer the best APR for your credit rating, not the one that offers the lowest APRs in general. Fees: In recent years, the best lenders have started offering no-fee personal loans. That means no origination fees, no prepayment penalties, and no (or minimal) late payment penalties. Terms: While rates and fees are important, it’s important not to neglect the terms because this can have a big impact on your monthly payments. The shorter your repayment term, the lower your total interest paid but the larger your monthly payments. The longer your term, the more interest you’ll pay overall but the less you’ll pay each month. Loan amount: You might need a personal loan for $1,000 or you might need to borrow $100,000. Either way, make sure your chosen lender can satisfy your loan requirements. Shop around: Running a personal loan comparison of at least 3-5 lenders is a crucial first step to finding the cheapest rates. Improve your credit score: If a low credit score is preventing you from getting the best rates, the good news is there are ways to repair your credit, e.g. taking out a small loan or raising your credit limit. Sign up for auto-pay: Some lenders offer a small rate discount if you use auto pay, because this gives them confidence that you’ll make your monthly payments on time. Take a secured loan: If you’re confident of your ability to pay back the loan, adding collateral can help convince your lender to offer you a lower rate. Bring a cosigner: Only some lenders allow a co-applicant; if your cosigner has better credit than you, this can help get you a significantly lower rate. The golden rule to finding the best personal loans can be summed up in one word: compare. Each of us has different requirements and a different credit history and what suits one borrower doesn’t necessarily suit another. Therefore, it’s important to research the personal market and read reviews of the best personal loan lenders before settling on any one provider. Small differences between lenders in APRs, loan amounts, or repayment terms mightn’t seem like a big deal at the beginning, but it can be the difference between paying your lender a small amount or large amount in the long run. Investing time in a personal loan comparison now can help save you money later.